A technical master, Lara is considered one of the toughest men to beat in the sport and will look to continue his reign at 154 pounds against the always-game Martirosyan, who is set on becoming a world champion on his second try. The 25-year-old Charlos are aiming for history against stiff opposition from a former champion in Trout and the Olympian from the Virgin Islands in Jackson. The 32-year-old Lara is a slick boxer with the ability to deliver punishment while taking very little of it in return. Lara has notched victories over Alfredo Angulo, Austin Trout, Ishe Smith and Freddy Hernandez. As an amateur, Lara won numerous titles including a national championship at welterweight and also participated in the 2007 Pan-Am games. The fighter originally from Guantanamo, Cuba dominated Delvin Rodriguez in June of last year and followed that up with a third-round stoppage of former champion Jan Zaveck. Born in Armenia, but fighting out of Glendale, Calif., Martirosyan represented the U.S. at the 2004 Olympics. As a professional, he won his first 32 fights before fighting Lara to a draw in 2012. The 29-year-old suffered a narrow defeat by split decision in his first world title shot against Demetrius Andrade, but has rebounded with solid victories over Mario Lozano, Willie Nelson and most recently Ishe Smith. 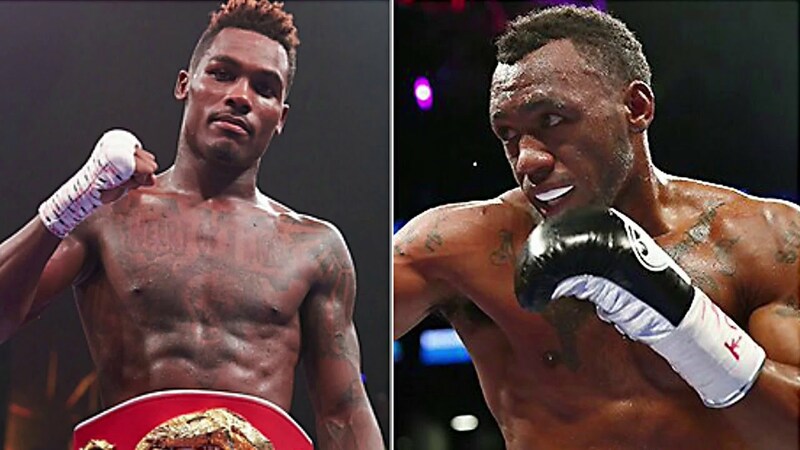 A newly crowned champion at 25-years-old, Charlo grabbed his title with a dominant third-round stoppage of Cornelius Bundrage in September 2015. Residing in Houston, Charlo built up his resume in 2014 with dominant triumphs over Hector Munoz, Norberto Gonzale, Lenny Bottai and Michael Finney. In his most recent outing, he successfully defended his title with a fourth-round stoppage of Wilky Campfort in November. In 2004, Trout won the U.S. National Amateur welterweight championship and after climbing up the ranks as an elite pro boxer, he won a super welterweight world championship in 2011 by defeating Rigoberto Alvarez. He went on to make four successful defenses, including a career-best, dominant victory over Miguel Cotto in New York. He is currently on a four-fight win streak after knocking out Joey Hernandez in September to set up his world title opportunity. Younger-by-one-minute than Jermall, Jermell Charlo is a highly ranked young fighter looking to get one step closer to a world title shot. A tall fighter for his division, the 25-year-old earned his shot at a world title with victories over Gabriel Rosado, Charlie Ota and Mario Lozano in 2014 and Martirosyan and former world champion Joachim Alcine in 2015. He impressed last time out by disposing of Alcine in the sixth-round of their fight in Houston in October. Since representing his native Virgin Islands in the 2008 Olympics, Jackson has put together an impressive pro career. The St. Thomas-born fighter won his initial 13 fights after making his debut in January 2009. The 27-year-old earned the No. 1 spot and the title shot with a shutout victory over Dennis Laurente in August. Jackson comes from a fighting family; his father John David Jackson was a world champion and feared power-puncher while his brother, Julius, is a contender in the 168-pound weight class.